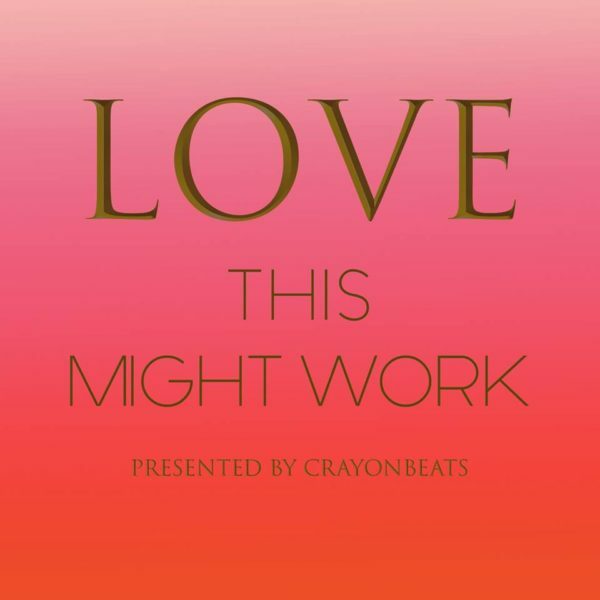 In February 2012, we released a concept compilation that explored feelings of both love and heartache, and we titled it Love… This Might Hurt. This year, we wanted to release a similar project for February, but only covering love. We had an open-call on Instagram several months prior, inviting music makers to participate in our love-themed project where we asked them to create a new song that had a “listen to with your significant other/lover/crush at night” vibe. Welcome to Love, This Might Work. 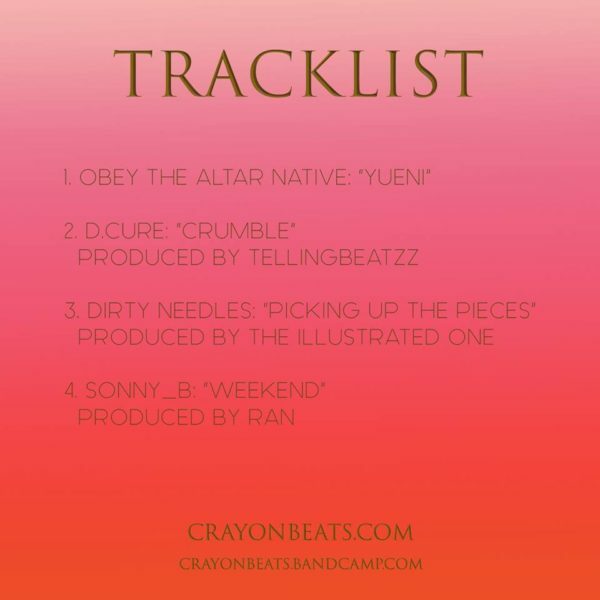 This 4-track compilation EP features exclusive music by: Arizona hip hop duo Obey The Altar Native (made up of producer Den One and emcee Obey), who bring you a head-nodding boom bap tale about how Obey met his wife in “Yueni”; Colorado-based rapper D.Cure, who covers new terrain by singing a song about how his dream girl–now wife–broke down the walls that he had up around his heart in “Crumble”; Ohio native rapper Dirty Needles, who kicks himself for messing up a good thing, but reunites with the love of his life in the soulful hip hop track “Picking Up The Pieces”; and Japan-based rapper Sonny_B shifts gears between English and Japanese while he takes his crush on a road trip in “Weekend”. This compilation will also be paired with our 9th magazine issue, due out soon (will update this space when it’s available), which will include interviews with the track artists, as well as accompanying art created by the two of us (which will be available for purchase). Stay tuned. We hope you enjoy this project. Please feel free to download this compilation, and follow the artists! This entry was posted on Thursday, March 1st, 2018 at 8:45 pm and is filed under #ProjectFBI, NEWS, SBC Fam, Sonny_B. You can follow any responses to this entry through the RSS 2.0 feed. You can leave a response, or trackback from your own site.